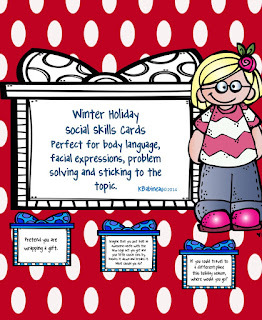 The holiday season is a test of social skills for all of us. This set is appropriate for Christmas, Hanukkah or Kwanzaa and addresses family meals and parties, gift giving and more. It is also a time when we need to be polite, socially appropriate and friendly with family and friends. 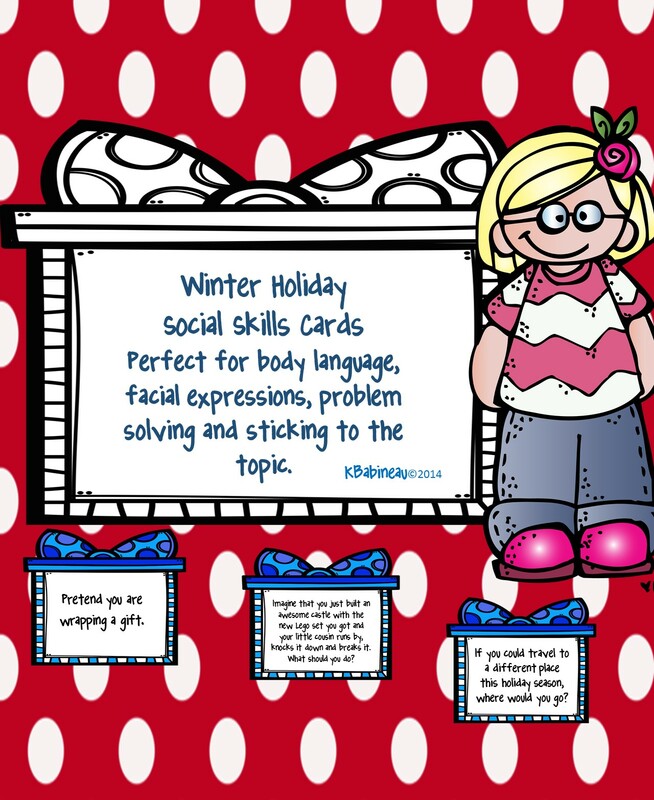 This set includes social language task cards that target solving common problems, sticking to the topic when talking with others and some fun cards that challenge students to act things out while focusing on facial expressions and body language for common winter holiday activities. To use, simply print out the cards, cut them apart and laminate them if you wish.